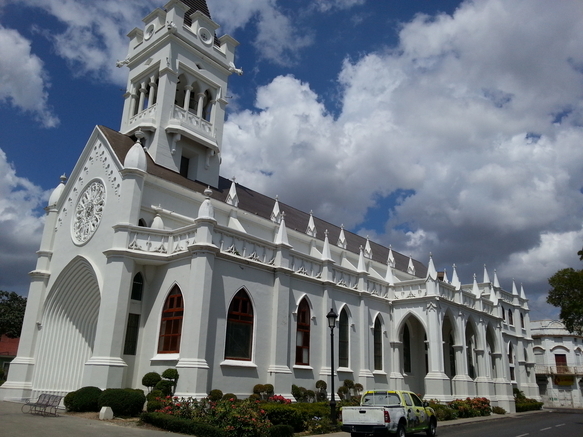 Do you need a copy of your Dominican marriage certificate? Whether you are a private individual, an insurance company or an investigations agency, we can help you obtain your Dominican marriage certificate (also known as Dominican wedding certificate), Dominican birth certificate, Dominican death certificate, and all other types of Dominican public documents. This could be your certificate, on its way to you this week! 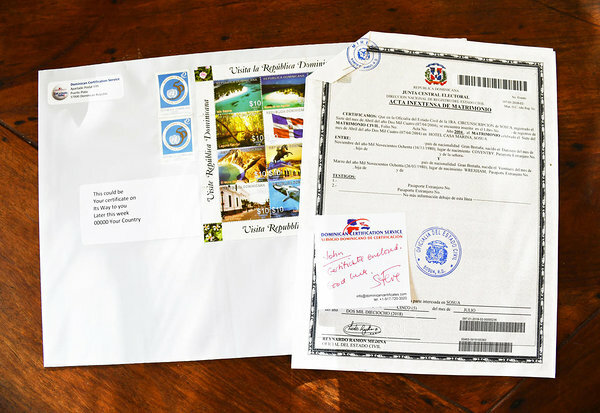 So wherever you were married in the Dominican Republic, if you now require an original extract of your marriage record, or if you'd like us to have your existing documentation legalized with an apostille from the Dominican Foreign Ministry, with our extensive coverage of the country through the tourism activities of our sister company Cocotours, we can can help you. If a family member or a friend died in the Dominican Republic, we can obtain a copy of the Dominican death certificate. From non-Dominicans who married in the Dominican Republic, mainly in Playa Dorada and Punta Cana in the Nineties and the Noughties, who have either mislaid their Dominican marriage certificate, or never ever received it after they had been promised it would be mailed to them. 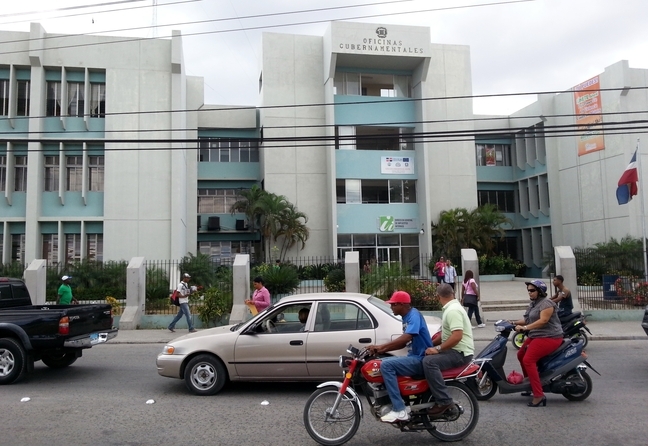 From Dominicans now living overseas who require a copy of their own birth certificate or their parents' or grandparents' marriage certificate or death certificate. From law-enforcement officials, state troopers, police and deportation officers wanting to verify dates of birth of persons of interest. From insurance companies and investigations agencies asking us to conduct investigations for them. "Many thanks. You have provided a very professional service. I can't thank you enough. Best Regards, Dean"
"We are a firm of solicitors based in North West England. Our client instructed us to petition for divorce in the UK however unfortunately her husband decided to take the marriage certificate in the hope this would delay proceedings. As our client married her husband in the Dominican Republic we had to find a company to locate, certify and send the marriage certificate to us. When we began searching Google we came across a company called Cocotours and contacted them via email. We received a response from Mr Steve McQueen very shortly after our initial enquiry and he provided us with a very reasonable quote to fulfil our instructions. Sure enough, he delivered exactly what he promised and kept us fully informed on a regular basis. I certainly recommend Cocotours! Thank you Steve! "I just wanted to say a very big thank you for supplying my marriage certificates, they are now safely in my possession. It has been a pleasure to deal with you and you have been very helpful all the way. Thank you kindly." from "A" about our Dominican certificate service. If you prefer not to fill out our enquiry form located on the left of this page, please send an email with some information to info@dominicancertificates.com.